Find your fans and collect first-party data about who they are and what they like. Compile and analyze fan data across sources to reveal insights about your fans and their connections. Turn your fan data into smart marketing with better ROI. Personalize your ads, emails and assets. Go beyond collecting emails and discover the people behind your fan profiles. Create fun and effortless experiences that invite your fans to connect directly with your brand. Aggregate the fan data you've earned across ticketing, social media, user-generated content and third-party CRM systems to compile a complete customer view. Generate leads with easy-to-configure, cutting-edge contests, quizzes and landing pages powered with social login. Learn more about your fans every time they engage with your brand. Automate fan engagement with a branded Facebook Messenger bot. Craft your storylines and power them with conversational AI that keeps your fans connected 24/7. Connect with your fans in one effortless click. Establish a live connection with your fans so your contact, affinity and demographic information update as your fans change. Collect, sort and store user-generated content from every major social network into one dynamic social Stream. Automatically moderate with our smart rules engine. Compile every fan interaction into unified fan profiles to create complete customer views for every fan. Analyze your fan data to determine affinity towards brands, artists and related artists. Generate real-time segments of your audience based on behaviour, demographics and affinity. Create dynamic reports on ROI, attribution and audience insights and easily share them via links. Consolidate all of your fan data into a unified CRM to reveal a complete customer view for every fan. Rank fans in real time to find your most relevant top influencers. Collect, understand and analyze your fans' affinity to artists, brands and athletes. Personalize your content and discover new audiences ready to love your brand. Quantify sales attribution for any link you share on any platform. Understand who visits your website, where they come from and what they eventually buy from you. Easily navigate big ticketing data with simple and fast analytics. Discover actionable insights about who purchases tickets to your events to improve your ad targeting. Go beyond pretty pie charts and put your data to work. Personalize your ads, emails, website, app and fan experience using the fan data you’ve collected on our platform. Improve your digital ad ROI by targeting the perfect audience with a personalized message at the ideal time. Track exact attribution - even for multi-channel campaigns. 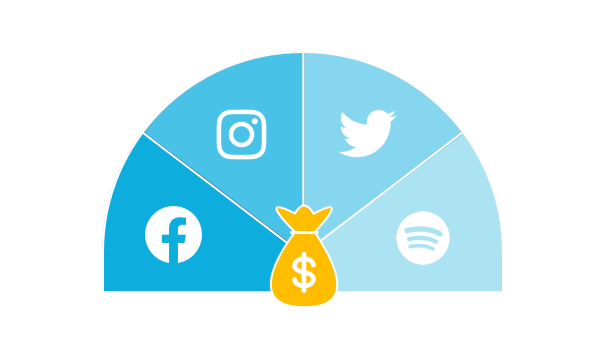 Reach top fans and people like them with targeted ads on Facebook, Instagram, Twitter, Spotify and Display. Quantify ROI by integrating tickets and audiences. You own your data. Push and pull fan data into your data warehouse through our open API. Automate your email marketing by integrating Fan CRM with your email provider. 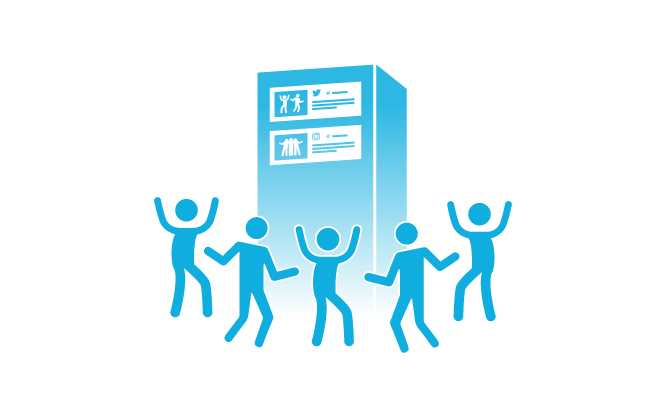 Engage fans at your live events with personalized, data-powered on-site activations like social login for WiFi, jumbotron AI filters and UGC towers.